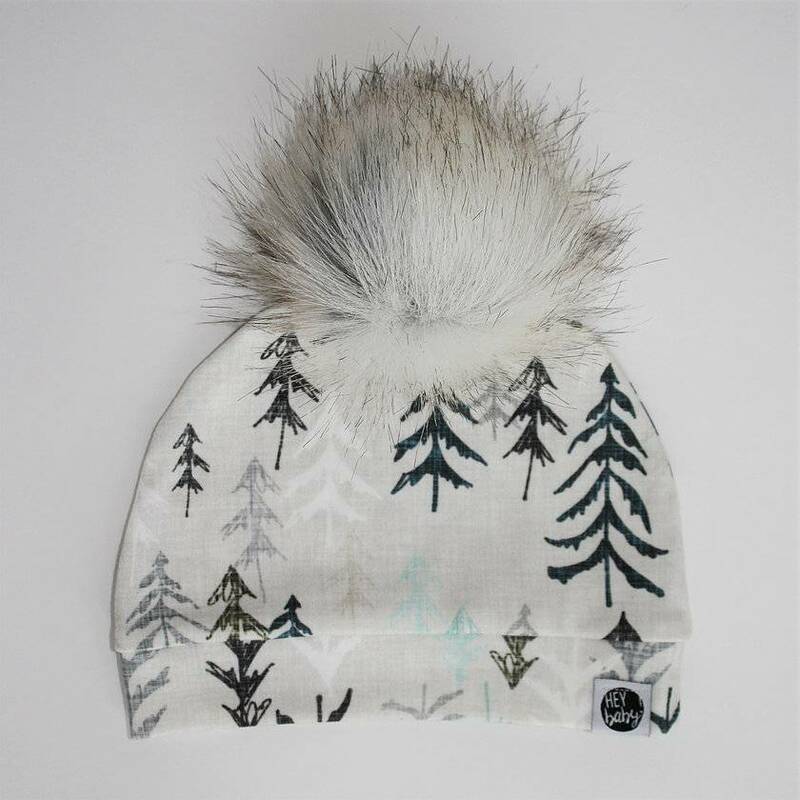 Cabin in the Woods printed beanie with handmade faux-fur pom-pom, by Hey Baby. 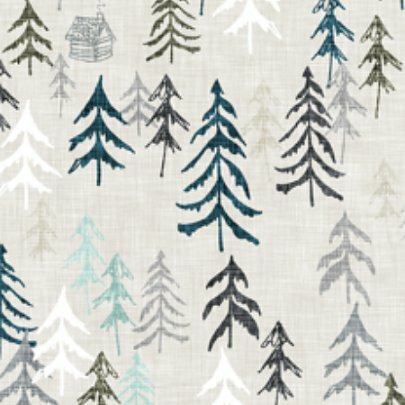 This cozy Cabin in the Woods print beanie is adorned with a handmade faux-fur pom-pom. 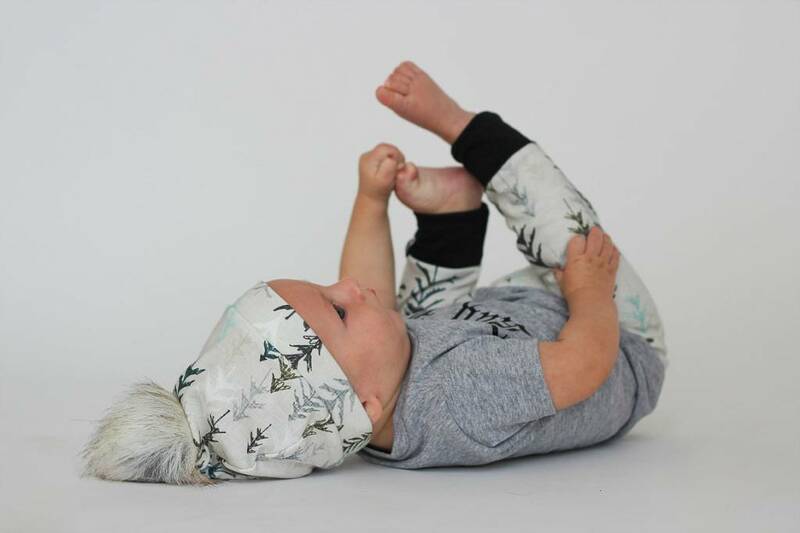 These stylish hats are made with thick organic cotton to keep even the smallest heads warm. Because these hats are hand made, each pattern placement will vary. Please wash in cold water and lay flat to dry (do not put in dryer). Made by hand in Victoria, BC by Hey Baby.